At the American Defense Network our goal is to foster greater security, prosperity, and happiness for American citizens by providing information and opinions that help our citizens defend and strengthen our nation through activism and community involvement. There is a lot of destabilizing disinformation being circulated in America by large corporations, political groups, billionaire power brokers, and foreign interests that is designed to confuse Americans and prevent concensus on important issues of national security. 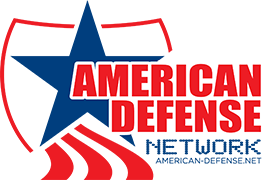 The American Defense Network seeks to provide Americans with the information and supporting networks you need to protect American families, jobs, taxpayer resources, elections, institutions, values, principles, heritage, and culture.